Hundreds of professional correspondents, media managers and technical staff are leaving Iran for Iraq to give a full coverage to Arba’een, the world’s largest religious gathering which marks the 40th day after the martyrdom anniversary of Imam Hussein, the third Shiite Imam. The news was recently announced by the Director of the Information Committee on Arba’een. Alavi told reporters that the committee builds on its earlier experiences gained over the past years to give an appropriate coverage to the pilgrimage. He said enemies are plotting to tarnish the image of the pilgrimage, and thus Iranian journalists should beware and open their eyes to such plots. Touching on the importance of the presence of pilgrim-reporters in this year’s Arba’een coverage, he said relying merely on the official media capacities will prevent the committee from fully covering the big pilgrimage. 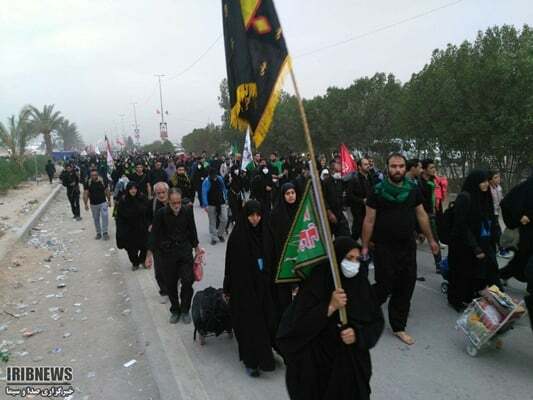 “That’s why, along with official correspondents from mainstream media, we need to rely on the help by any pilgrim who is willing to serve as a reporter to broadcast further news and beauties of Arba’een to the whole world,” he said. According to the official, the Islamic Republic will dispatch about 1600 documentary-makers, correspondents, photographers and technical staff to Iraq for covering Arb’aeen. “This year, 400 TV channels from 43 countries will cover the Arba’een epic. Meanwhile, about 1,200 experts from various countries will appear before the cameras of the Islamic Republic of Iran Broadcasting (IRIB) to elaborate on Arba’een,” he noted. The committee director also said for the first time in the past years, at least 77 SNGs are set to be deployed in 13 stations allocated for Arba’een’s coverage. According to Alavi, this year two media stations will be set up equipped with high-speed internet to provide the correspondents as well as the pilgrims with free access to the internet. Alavi said the presence of professional correspondents is highly significant for giving a full coverage to Arba’een. Therefore, he said, the media outlets should send their most professional correspondents to the pilgrimage. “The media should provide their audiences with a full picture of the social and public order during the pilgrimage and we hope the order could get more widespread year by year,” he concluded.